Is Hannibal Season 4 Back On The Cards? Of all the unjustly terminated TV shows out there, Hannibal is the one that hurt the most. 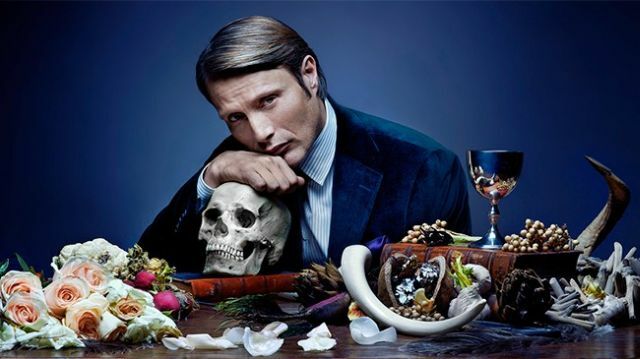 I was initially pretty skeptical of a Hannibal Lector TV show, but Bryan Fuller’s demented imagination and gorgeous visual stylings quickly made it one of the most fascinatingly unique and bizarre series on the air. It lasted for three glorious seasons, each barmier than the last, before being cruelly cancelled due to low ratings. But now it sounds as if there’s a chance it could return. Fuller spoke at New York’s Split Screens Festival on Thursday night and was inundated with questions about new episodes. Clearly pleased to be discussing the show, he explained that a fourth season would be “Inception meets Angel Heart.” Now that’s a truly strange and weirdly enticing cinematic cocktail, but it’s great to hear that he’s got ideas brewing about for where the show could go next. Given that the last season ended with Lector and Will Graham plunging off a cliff together, Fuller’s referencing of Inception possibly hints that some or all of a new season might take place inside the characters’ heads, or in some kind of altered dreamstate. If that’s the case, then count us in! Hannibal was one of the most ambitious and daring TV shows I’ve ever seen, so the prospect of it getting new episodes is definitely exciting. Let’s hope with Fuller’s star on the rise now thanks to American Gods, he gets the chance to make it and give his idiosyncratic take on Hannibal Lector a properly satisfying ending.